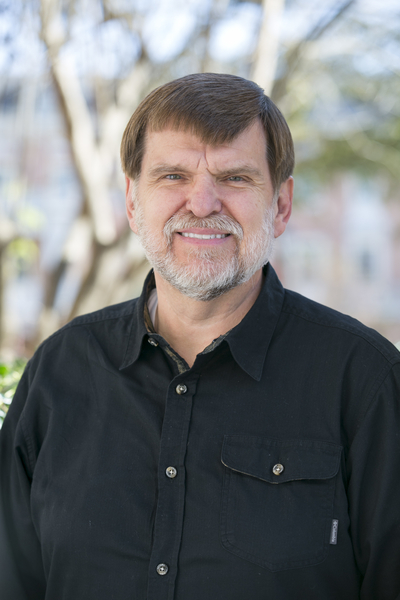 Since joining Samford's faculty in 2002, Keith Putt has concentrated both his teaching and research in certain Continental philosophies of language and interpretation theory, specifically those relating to phenomenological hermeneutics and deconstruction. That concentration has been even more narrowly focused on how those traditions impact post-metaphysical philosophies of religion and non-classical theistic philosophical theologies.His pedagogical intent, deeply rooted in these contrarian conventions, has been to mimic the Socratic irony of the wisdom of humility and the complementary dynamic of the philosopher as intellectual “salmon”—the cautious educator determined to swim against the stream of the status quo. The “salmon” scholar believes that the only therapeutic prescription against the sepsis of authoritarianism, superstition, and ignorance is the skepsis of questioning, critique, and incredulity. Consequently, he considers the penultimate goal in his classes to be the dissemination of philosophical content, while the ultimate goal is the encouragement of his students to think for themselves—liberally, critically, and humbly. Editor, The Essential Caputo: Selected Writings (Bloomington: Indiana University Press, 2018). "The Repetition of Sacred Anarchy: Risking a Reading of Radical Hermeneutics," in The Essential Caputo: 3-17. Bruce Ellis Benson and B. Keith Putt, eds. Evil, Fallenness, and Finitude (Cham, Switzerland: Palgrave Macmillan, 2017). “’The No to Nothing, and the Nothing to Know’: Immanent Transcendence as Eschatological Mystery” Religions 8 (2017). “A Poetics of Parable and the ‘Basileic Reduction’: Ricoeurean Reflections on Kevin Hart’s Kingdoms of God” Sophia 56 (2017): 45-58. “Blurring the Edges: Ricœur and Rothko on Metaphorically Figuring the Non-Figural” Etudes Ricoeuriennes/Ricoeur Studies 7 (2016): 94-110. "The Existence of Evil and the Insistence of God: Caputo's Poetics of the Event as a Discourse on Divine Intervention " Janus Head 14:1 (2015): 25-44. "Traduire C’est Trahir—Peut-être: Ricoeur and Derrida on the (In)Fidelity of Translation" Études Ricoeuriennes/Ricoeur Studies 6 (2015): 7-24. “Friends and Strangers/Poets and Rabbis: Negotiating a ‘Capuphalian’ Philosophy of Religion,” in The Future of Continental Philosophy of Religion: 34-58. Clayton Crockett, B. Keith Putt, and Jeffrey W. Robbins, eds. The Future of Continental Philosophy of Religion (Bloomington: Indiana University Press, 2014). "The Passion of/for Pentecost: Hermeneutics, Heterology, and the 'Hauntology' of the Spirit," in The Holy Spirit and the Christian Life: Historical, Interdisciplinary, and Personal Perspectives, ed. Wolfgang Vondey (New York: Palgrave Macmillan, 2014): 199-216. "'The Fiction of an Absolute:' Theopoetically Refiguring a Sacred Hauntology." Analecta Hermeneutica No. 4–Refiguring Divinity: Continental Philosophy of Religion (2012). "Learning to Live Up to Death--Finally: Ricoeur and Derrida on the Textuality of Immortality"Philosophy and Social Criticism 37 (2011): 239-47. “Rightly Passing Beyond New Atheism: Continental Connections and Disconnections” Journal for the LiberalArts and Sciences 15 (2): 90-119. "Depravatio Crucis: The Non-Sovereignty of God in John Caputo's Poetics of the Kingdom," in Peace Be With You: Christ's Benediction Amid Violent Empires, eds. Sharon L. Baker and Michael Hardin (Telford, PA: Cascadia Publishing House/Herald Press, 2010): 148-182. Reconciling Pure Forgiveness and Reconciliation: Bringing John Caputo Into the Kingdom of God CrossCurrents 59 (Winter 2009): 500-531.
Review article in Perspectives in Religious Studies 36 (Fall 2009): 363-68. Editor, Gazing Through a Prism Darkly: Reflections on Merold Westphal Hermeneutical Epistemology (New York: Fordham University Press, 2009). New Historicism, in The New Interpreter Handbook of Preaching, ed. Paul Scott Wilson (Nashville: Abingdon Press, 2008): 157-59. "Poetically Negotiating the Love of God: An Examination of John D. Caputo's Recent Postsecular Theology" Christian Scholars Review 37 (Summer 2008): 483-97. A Love That B(l)inds: Reflections on an Agapic Agnosticism, in Transforming Philosophy and Religion: Love Wisdom, eds. Bruce Ellis Benson and Norman Wirzba (Bloomington: Indiana University Press, 2008): 121-41. Risking Love and the Divine Perhaps: Postmodern Poetics of a Vulnerable God Perspectives in Religious Studies 34 (Summer 2007): 193-214. From Babel to Pentecost: Proclamation, Translation, and the Risk of the Spirit The Pneuma Review 10 (Summer 2007): 29-45. Violent Imitation or Compassionate Repetition: Girard and Caputo on Exemplary Atonement, in Religion and Violence in a Secular World: Toward a New Political Theology, ed. Clayton Crockett (Charlottesville: University of Virginia Press, 2006): 21-45. Theopoetics of the Possible, in After God: Richard Kearney and the Religious Turn in Continental Philosophy, ed. John P. Manoussakis (New York: Fordham University Press, 2006): 241-69. Too Deep for Words: The Conspiracy of a Divine Soliloquy, in The Phenomenology of Prayer, eds. Bruce Ellis Benson and Norman Wirzba (New York: Fordham University Press, 2005): 142-53. Imagination, Kenosis, and Repetition: Richard Kearney's Theopoetics of the Possible God, Revista Portuguesa de Filosofia 60 (2004): 953-83. Faith, Hope, and Love: Radical Hermeneutics as a Pauline Philosophy of Religion, in A Passion for the Impossible: John D. Caputo in Focus, ed. Mark Dooley (Albany: SUNY Press, 2003): 237-50. Rendering to Caesar, Surrendering to God, in Christian Reflection: Prophetic Ethics (Waco: Baylor University Press, 2003). Analogia Civitatis et Corporis: Speaking the Language of the Christian Cosmopolis. Review essay of Graham Ward's Cities of God in the Journal for Cultural and Religious Theory 5.1 (December 2003). Prayers of Confession and Tears of Contrition: A Radically Baptist Hermeneutic of Repentance, in Religion With/Out Religion: The Prayers and Tears of John D. Caputo, ed. James Olthuis (New York: Routledge, 2002): 62-79. The Benefit of the Doubt: Merold Westphal's Prophetic Philosophy of Religion Journal for Cultural and Religious Theory 3 (August 2002). An Interview with John D. Caputo, in Religion With/Out Religion: The Prayers and Tears of John D. Caputo, ed. James Olthuis (New York: Routledge, 2002): 150-79. Indignation Toward Evil: Ricoeur and Caputo on a Theodicy of Protest Philosophy Today 41 (Fall 1997): 460-70. The Impossibility of a Passionate God: A Postconservative Mani(n)festation of Caputo's Kingdom Christology Perspectives in Religious Studies 24 (Winter 1997): 447-67. Preunderstanding and the Hermeneutical Spiral, in Biblical Hermeneutics: A Comprehensive Introduction to Interpreting Scripture. 1st ed. Eds. Bruce Corley, Steve Lemke, and Grant Lovejoy (Nashville: Broadman & Holman Publishers, 1996): 203-14.